This is a real old-school festival adventure and probably not for the faint-hearted! If you’re in the camp that thinks today’s festivals have become nothing more than corporate shake downs, sponsored out of all creativity then Nowhere could be where you want to go. 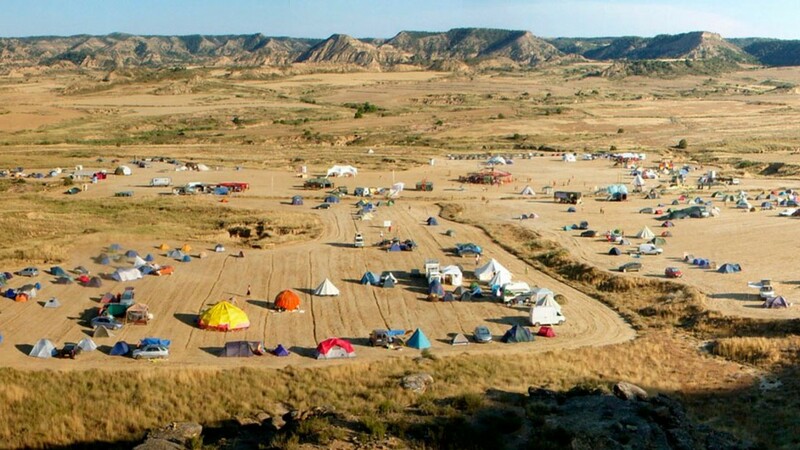 Modelled on the iconic Burning Man festival and set in the Spanish desert, Nowhere promotes self-reliance and cooperation to foster art, music and having a great time. With more art installations, sculptures and projects than you can shake a copy of Time Out at, the festival’s heart is in creating art and music through self expression. Anyone can play at Nowhere, performers and musicians aren’t paid but if you fancy taking to the stage, just bring your kit. Aspiring DJs can book a slot on the festival’s soundsystem. Nowhere is the place to get your tune in, drop out and get your freak on. Nowhere is a no-commerce festival, so anything you need to eat or drink (that includes water) has to be brought on site by you. Car Sharing: Find travelling companions on the forums. Car rental: Seven-day car rental from atesa is only 150 euros. Travelling by Taxi: You can catch a taxi to the site from Sariñena or from Zaragoza airport.